U.S. President Donald Trump said Friday he is considering sending “illegal immigrants” to Democratic strongholds — just hours after White House and Homeland Security officials said the idea had been discussed and quickly rejected. Trump’s tweets came as critics were criticizing news that the White House had at least twice considered a plan to release detained immigrants into so-called sanctuary cities. Critics branded the plan, supposedly rejected, as an effort to use migrants as pawns to go after political opponents. Sanctuary cities are places where local authorities do not co-operate with Immigration and Customs Enforcement (ICE) officials, denying information or resources that would help ICE round up for deportation people living in the country illegally. A host of Democrats including California Rep. Adam Schiff and presidential candidate Sen. Amy Klobuchar of Minnesota voiced their condemnation of such a plan. The idea of pressing immigration authorities to embrace the plan was discussed in November, and then again in February, as the Trump administration struggled with a surge of migrants at the border, according to people who spoke on condition of anonymity to outline private conversations. Department of Homeland Security lawyers quickly rejected the proposal, according to the people, and it was dropped. It’s also not clear such a plan would pass legal muster. Many of the administration’s plans regarding asylum seekers have quickly been challenged in the courts as not legal or constitutional, including banning those who cross between ports of entry from claiming asylum at all, as well as a plan to have ever-increasing numbers wait in Mexico before their date in immigration court, which can take months or even years. 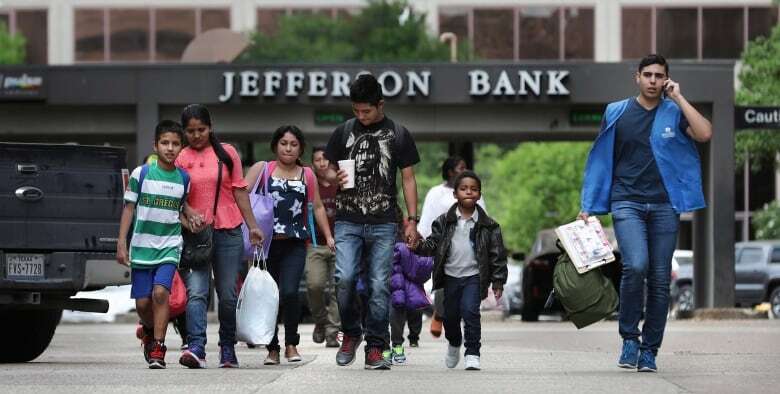 The sanctuary city plan, which was first reported by the Washington Post, is one of many ideas considered by an increasingly frustrated White House in recent months as Trump has railed against the growing number of Central American migrant families crossing the southern border. Officials say they are running out of options, and have proposed and recycled numerous ideas that have never come to fruition. Trump in recent weeks has discussed the idea of renewing his administration’s controversial family separation policy. And he and aides are weighing forcing asylum-seeking families to choose between being detained together as their cases make their way through the courts or sending their children to government-run shelters. Previous congressional hearings have painted a picture of confusion and chaos at the border over separations, with myriad agencies with a stake in the process — including Homeland Security and the Department of Health and Human Services — not properly tracking who had been separated, nor instituting a process for how to eventually reunite them. It raises questions as to whether the administration, operationally, would even be able to handle the flow of migrants to sanctuary cities. Transporting large groups of immigrants to distant cities would be expensive and burdensome for Immigration and Customs Enforcement, which is already strapped for cash. The agency has said it doesn’t have the resources for immigrants processed by the Border Patrol and Border Patrol in most southern border sectors and is now instead releasing families after a health screening and criminal background check, leaving local nonprofits to help them make travel arrangements. Flights chartered by ICE cost about $7,785 US per flight hour, according to the agency. They require multiple staffers, including an officer who coordinates, several others who fly and monitor passengers and an in-flight medical professional. The agency also uses commercial flights but requires that migrants to pay for those. It’s unclear if that would be the case for families, who usually arrive with no money and rely on relatives already in the U.S. to pay for transportation. At least two versions of the sanctuary-city plan were considered, according to one of the people familiar with the effort. One would have moved people who had already been detailed and were being held elsewhere to places with Democratic opponents of the president, while the other would have transported migrants apprehended at the border directly to San Francisco, New York City, Chicago and other spots. A White House official echoed that language. Former ICE deputy director Matt Albence — who once likened migrant detention centres to “summer camp,” and who on Friday was announced as the agency’s acting director — denied that the White House pressured immigration officials to implement the idea. Those facilities would be licensed by each state and likely take several months to be approved and opened, separating them from the rapidly expanding emergency shelter at Homestead, Fla., and the now-closed tent facility at Tornillo, Texas. The Defense Department has also been reviewing a number of military bases to find a location that can house up to 5,000 unaccompanied migrant children as the U.S. braces for a surge of people crossing the U.S.-Mexico border this spring. Health and Human Services (HHS) submitted the request for space last month, as Homeland Security leaders warned that tens of thousands of families were crossing the border each month. HHS has traditionally been responsible for providing temporary shelter to unaccompanied migrant children crossing the border. In response, some cities have banished ICE from jails where agents could easily pick up immigration violators. Police in New York, Baltimore and Seattle, Wash., rarely, if ever, disclose information about when suspected criminals in the U.S. illegally will be released from custody. 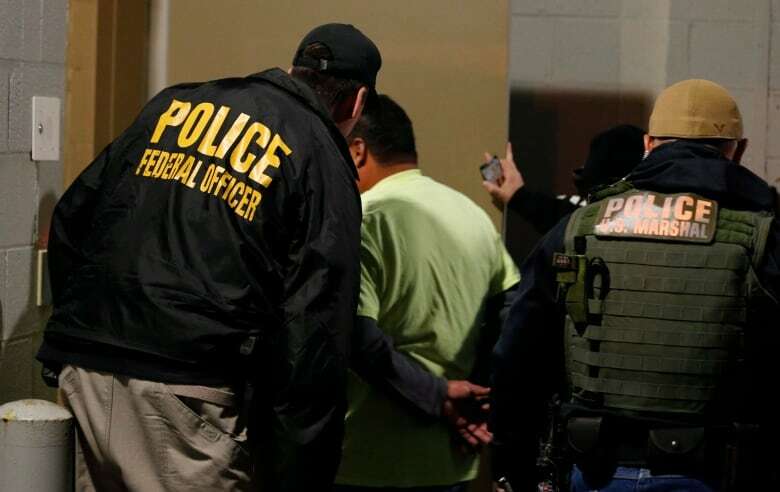 ICE arrested 32,977 people accused of crimes and 20,464 for immigration violations during the budget year 2018. There were 105,140 arrests of people with criminal convictions and 158,581 arrests overall. The most frequent criminal conviction was for drunk driving, followed by drug and traffic offences.